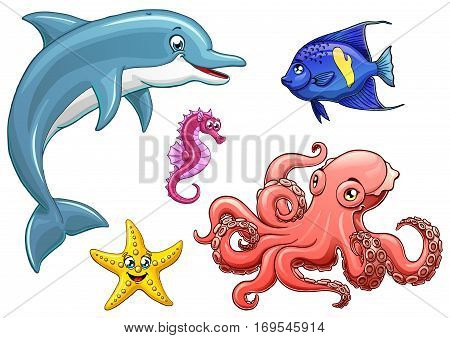 Set cute marine animals colorful on a white background isolated. Dolphin, octopus, sea horse, star fish and arabian angel. Vector cartoon illustration. Manual sketch.